Northwest National Real Estate: New Listing! St. Louis River Frontage! New Listing! St. Louis River Frontage! REDUCED! Located just minutes from Floodwood, Minnesota on a County Road this 89 acre parcel features over 1/4 mile on the St. Louis River. Property borders 109 acres of public land which also borders the St. Louis River. This parcel is ideal for the hunter or sportsman. Enjoy hunting, fishing, canoeing, or atving. Property was an old farmstead and includes a large barn, two car garage and home that each need some work. 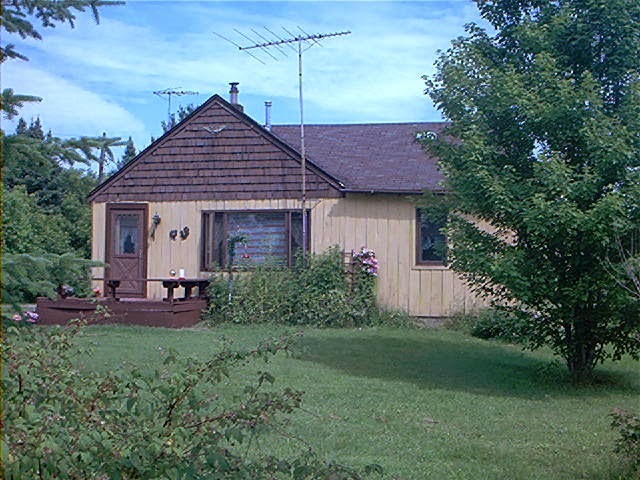 Cabin is 20' x 27' (approximately 540 sq. ft.) Small hay field, but majority of property is wooded. Lots of wildlife present. Property would also be a perfect location for a new home or cabin. Seller is anxious and will look at offers including contract for deed. Contact Jeff Kletscher at 218-476-2069 for additional details. Motivated Seller. Price at $158,000.